We first heard signs of a cell network outage affecting customers around 3PM PDT/6PM EDT, as service was intermittent before it went to a full-scale nationwide outage, affecting the majority of customers. The company says they are continuing to investigate the cause of the outage to prevent future issue and to say thanks to customers for their patience, they will be providing all Rogers/Fido postpaid wireless customers with one day of service credit. 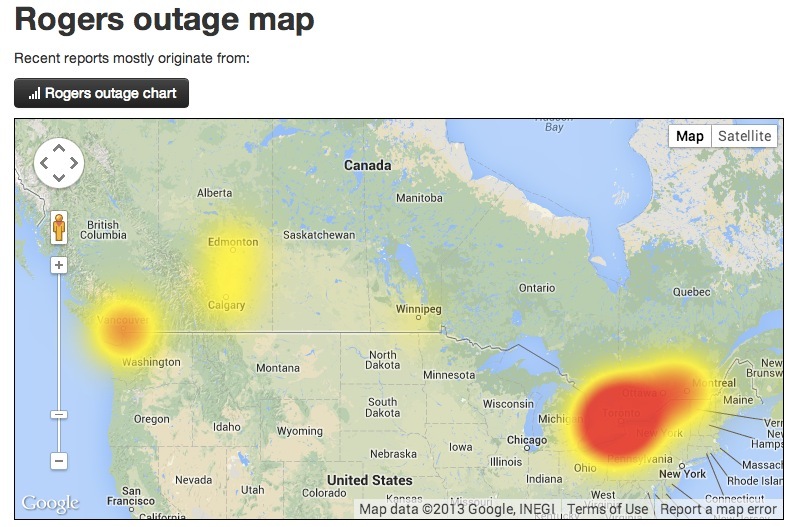 Were you affected by this Rogers/Fido cell network outage? Update: Rogers has informed us it is looking into compensating all Pay as You Go customers (Rogers, Fido, Chatr) as well.